Well after having some time to mess around with the XY-BKP format, I've really like Aromatisse decks. This deck becomes really good with new cards from Breakpoint and it becomes viable in both formats. Last format Aromatisse was a very solid deck and was definitely one of my favorites. There were a few variants, starting with Mega Kangaskhan, then going on with Mega Gardevoir, and finally partnering with Seismitoad in a toolbox deck to end the year. With Aromatisse's Fairy Transfer you just get to move your Fairy energies as you like making your deck pretty flexible and opens up some nice combos. One such combo involved the card Max Potion. Max Potion lets you heal all damage off of a Pokemon with the downside of losing all energy attached to that Pokemon. But Aromatisse let you move the energy off the Pokemon, heal it up, and move the energy right back. Fighting Fury Belt: In most decks this card will compete with Muscle Band in terms of whether that 10 extra damage is the difference in a knockout. But not too much here. Most Aromatisse decks never really want a one-hit knockout. These decks instead want to play slow and defensive. That 40 extra HP that Fighting Fury Belt gives you is amazing, letting you dodge one hit knockouts from Yveltal, Night March, Vespiquen and whatever else. Max Elixir: My guess is with this card, TPCi wanted a universal form of energy acceleration. And I would say they succeeded. The sucess rate for the card is alright for most decks just giving another energy attachment. This was the deck that first came to my mind when seeing the BREAKpoint cards. It relies on big basic EXs and a lot of different types. As much as people will claim that this is a Toolbox deck, it's a Toad deck through and through. Seismitoad has fallen out of Standard due to the loss of LaserBank, but here's a deck that doesn't use lasers. You instead want to play a slow monotonous game, Quaking Punching and healing up your Toad over and over until you can use some other attackers. To add even more annoyance here's Malamar. This card was the reason Aromatisse/Toad could take shape last year, letting you put the opponent to sleep with your energy attachment, and then moving that energy to the attacker. It ensures your attackers will live forever longer. Yveltal. Does any more need to be said? Being large HP EX, gives this card priority over a card like Stunfisk. Assault Laser is always solid and with the additional 10 damage from Fighting Fury Belt, you can OHKO a baby Yveltal that doesn't have a tool. While nothing weak to grass is really running rampant, Sceptile is still really solid and it combos nicely with Malamar. Unseen Claw can hit for 130 damage as long as you triggered Malamar's Hyper Hypnosis and that can knock out any bulky non-EXs. Its just a really solid card. With Evil Ball letting you punish any overcommitment and Y Cyclone letting you conserve energy, its a perfect fit. Aegislash just goes really well with the defensive strategy this deck tries to run. Mighty Shield can stall or just lock up games against Night March or Vespiquen. Slash Blast is also not to be overlooked as with a few Rainbows you can 2-shot several EXs. With Darkrai no longer available for free retreat, Manaphy has a chance to stand in with essentially the same effect: free retreat for anything with Rainbow Energy. Manaphy is a bit worse than Darkrai though since its at 120HP making it much more of a liability and preventing prize denial. I REALLY like this card. I've always liked cards that use opponent's attacks. I tried for the longest time to get Mega Gengar to work but now we have such an effect on a basic non EX for two energy. 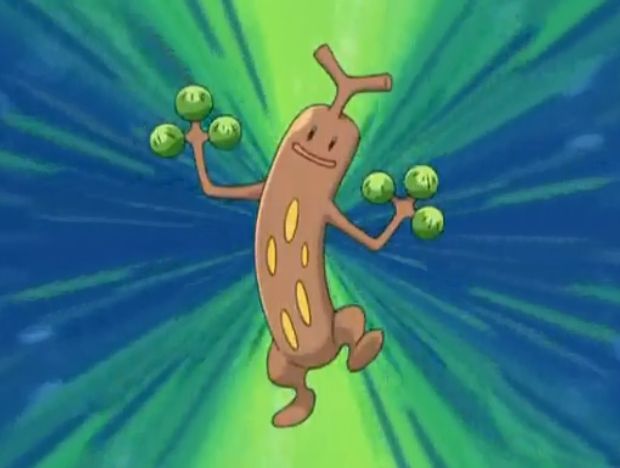 The caviat is that Sudowoodo can only use the last attack used by the opponent. Still it can come up with huge plays. Copying Turbo Bolt to one-shot Mega Manectric and get energy on your field. Copying Dark Head to combo with Malamar's ability. Its nice to see when this card will just happen to be useful in any situation. This is just personal preference for me. Even with Skyfield, your bench can become a bit cluttered, and with Hoopa being another free Lysandre target is something I don't like. While we've gotten a few attempts at Florges as a Stage 2 and even a BREAK, Florges EX still seems the best of all of them. Its the most efficient fairy attacker at two energies, and while it won't be one shotting anything with Bright Garden that's not your strategy. Fighting Fury Belt also shores up one of Florges' weaknesses which was its 160HP. When you're going straight Fairy, Xerneas is your best starter to flood the field with energy. This deck doesn't rely too much on energy like Mega Gardevoir or Mega Mewtwo so just two serves fine. Another Fairy attacker. Break Through (the attack) can let you win prize trades against Night March and just place damage on the board. Also, having several attackers with a Dark resistance makes your Yveltal matchup so much better. Slurpuff PHF is just a nice card to draw whenever you can and boost consistency. You need Pokemon on the bench to strenghten Bright Garden and Slurpuff is a nice bench sitter. 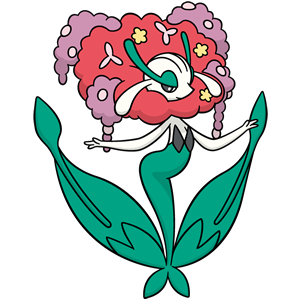 As for Slurpuff XY, Sweet Veil is (as of now) the only ability to block special conditions. Having this in play seals the game against a deck like Darkrai/Hypno and I would expect a lot of that deck to popup in Standard and Expanded. While any card not a Fairy hinders the damage output of Florges, Florges really won't be the best when staring down a Metal deck. Having a solid attacker with a different weakness is always nice and metal attackers tend to use a lot of energy. Mega Mwtwo can easily punish that and destroy anything as long as you've conserved energy throughout the game. Of course every deck with fairy energy should be running Fairy Garden since the free retreat combo'd with Aromatisse's ability makes it so you can give any Pokemon free retreat as long as there's an energy on the field. Skyfield however, really helps out this deck. Sometimes you just can't cap Florges' damage when you need to, and adding bench space can help this issue. This is the deck I like the most. This variant of Aromatisse has seen some play and success without any of the BREAKthrough cards and now it gets even better. While Mewtwo was just a tech for the last deck, here it's the main focus. Psychic Infinity is a great attack in any deck with energy acceleration or manipulation. 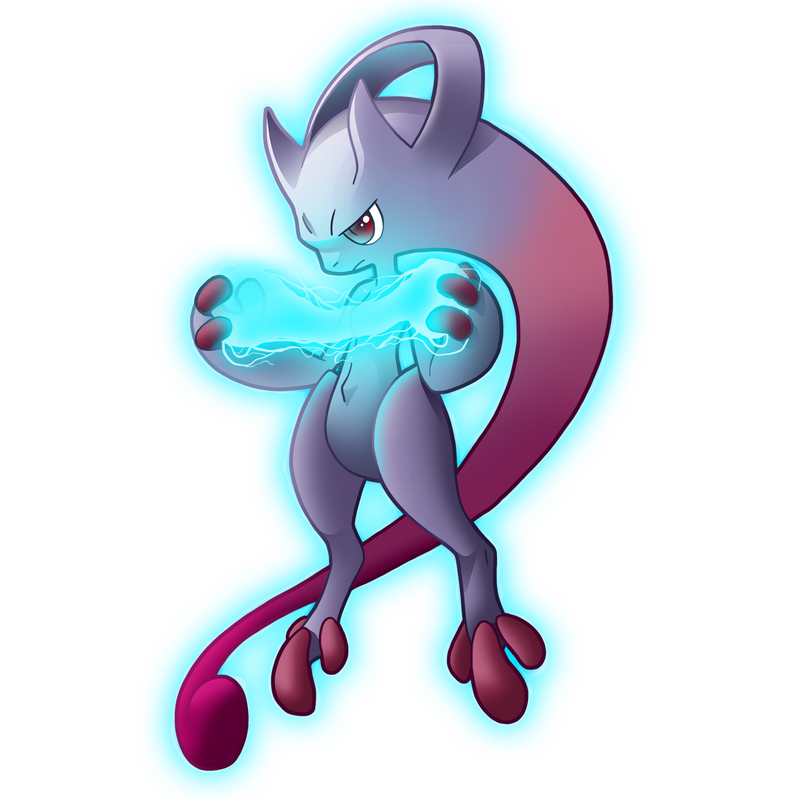 Aromatisse lets you conserve energy and place them onto your Mega Mewtwo whenever needed, and because Mega Mewtwo won't always need the same amount of energy for a knockout, it's another way to keep energy safe. Mega Pokemon also get the benefit of higher HP even though that is being challenged with Fighting Fury Belt. Once again, Xerneas just gives you that great early game advantage to fill up your board with energy from the start. I can definitely see a deck running four copies to make sure you start with it but just three was fine for me. This variant of Aromatisse is really able to show how well Max Elixir combos with Aromatisse. While you can't Max Elixir any energy onto a Mega Mewtwo, you can still get energy onto any basic on your bench and move it to Mega Mewtwo. As long as Aromatisse is up and going, Max Elixir can get you energy without any of its limitations. There's not much more to say about this deck or I'd just be repeating what I've said for the other decks since the basic skeleton is so similar. Of the decks I mentioned I definitely like Aromatisse/Mewtwo the most since it can just deal so much damage with Psychic Infinity. The Seismitoad variant plays a lot more control style trying to keep your opponent from doing anything while chipping away. Florges I would say is the most consistent but it doesn't keep up even once it's setup. Since the article took me such a long time to write, some State championships have already taken place and Aromatisse was able to get one Top 4. While this was a bit underwhelming for me, I can see why. Seismitoad Hammers was one of the top decks and that can just destroy the strategy Aromatisse is going for by removing energy. Puzzle of Time can let Night March reuse Startling Megaphones to get rid of Fighting Fury Belts. One solution to this would be a basic Pokemon with the Barrier Trait to protect it from Megaphones and Hammers but alas the only ones we have are Electrike and Regirock which definitely won't be attacking anytime soon. Anyway, hope I've showed you all the strength that Aromatisse could have with the new Breakpoint cards.